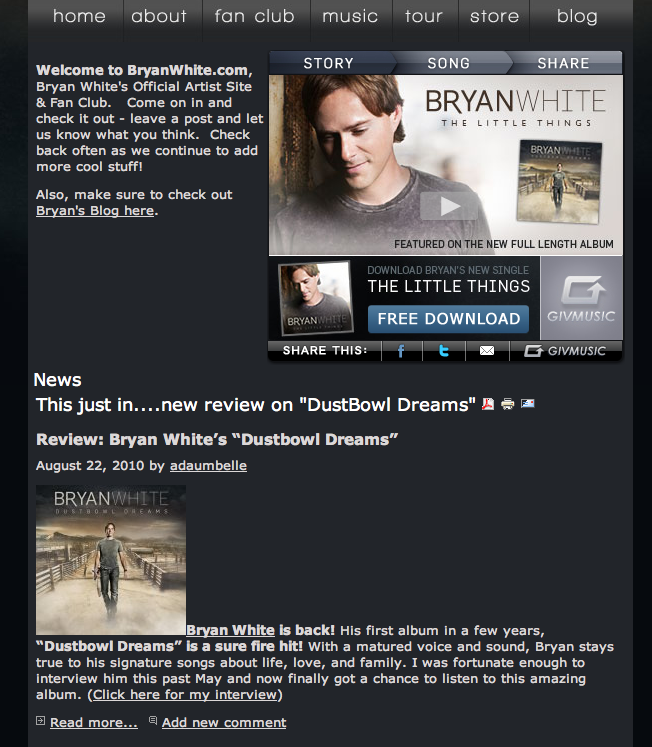 Many continued Thanks to Bryan White for posting my review of his album “Dustbowl Dreams” on Bryanwhite.com, Facebook, and Twitter! In “Dustbowl Dreams” Bryan sings about leaving his hometown to pursue his dreams, but not forgetting his Oklahoma upbringing along the way, while “On My Own” is about the success/struggles Bryan encountered along the way, but still being able to go back home when needed to rejuvenate and then heading back out on his own and continue to make his dream come true. “Say When” is about a boy hoping to make the girl he likes his girlfriend, where “Get It Together” is about a boy trying to convince his girlfriend to take the next step and take this journey we call life with him forever. “The Little Things” is all about the everyday things Bryan and his wife do to remind each other that they love them…from a post-it note left on the steering wheel to a morning kiss hello to just lying in each other’s arms. “When You Come Around” is a song about a son hoping to build a better relationship with his father and mend the broken pieces of their past. 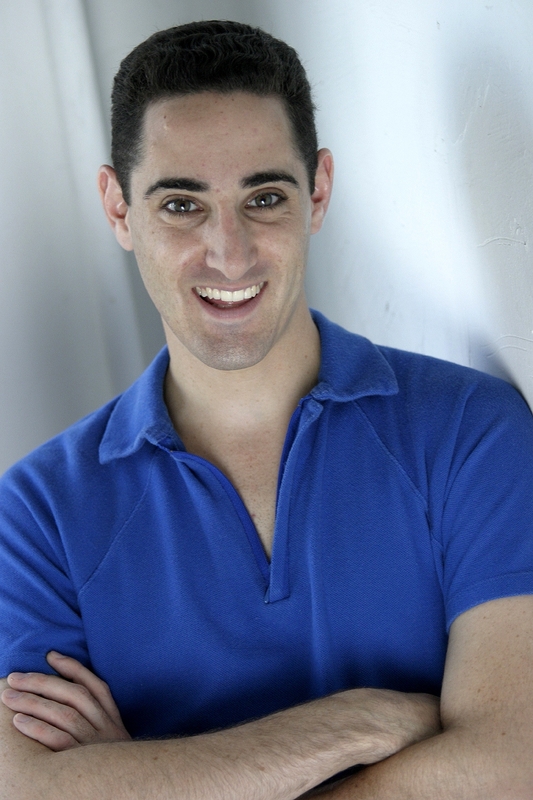 In “Beautiful Place” Bryan sings about a man who has so much love for his wife, that all he has to do is take a look at her face and he’s taken to a “Beautiful Place” away for the everyday stresses life can bring. 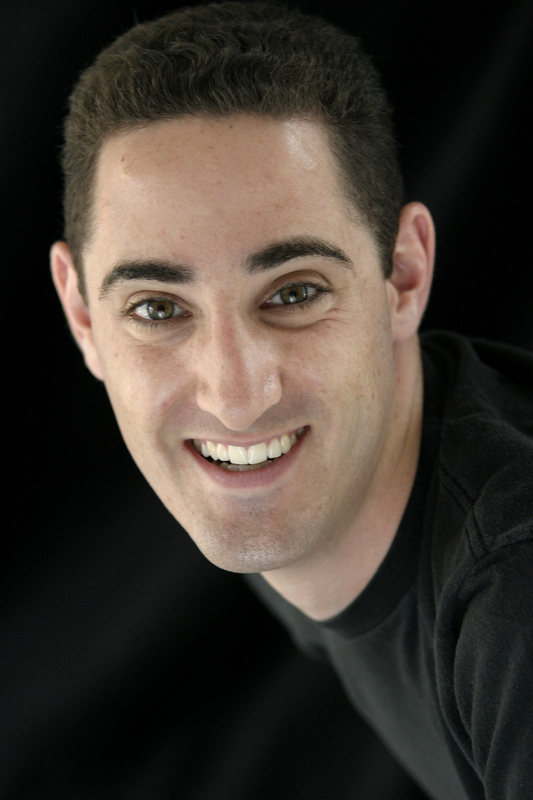 “Place to Come Home” is about the strong love one man has for his wife and when the world gets to be too much for her and all she has to do is focus on their love and she’ll be able to find her way back home, while “Erika’s Song” is about a man whose love for his wife is so strong that he realizes just how lucky he is to have her in his life. 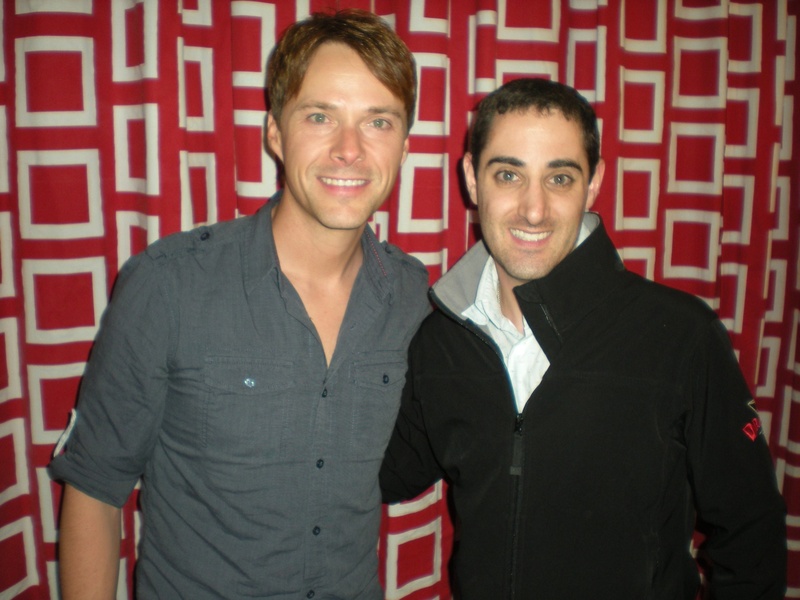 It may have been a few years between Bryan White albums, but the wait for “Dustbowl Dreams” was well worth it! 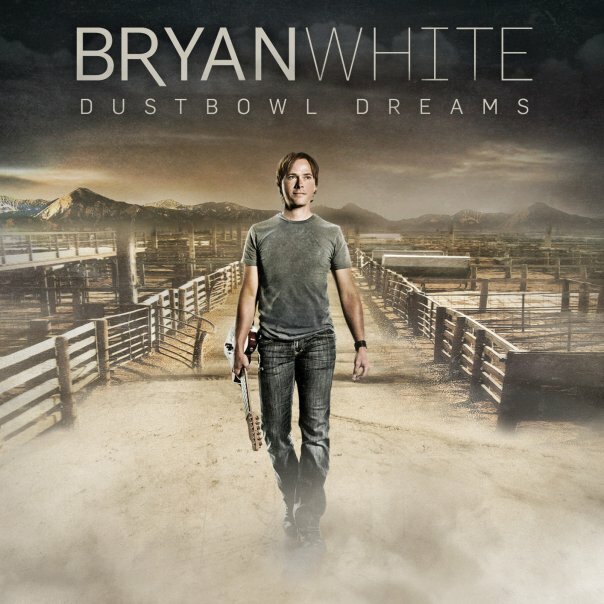 Be sure to catch Bryan on tour so you can hear “Dustbowl Dreams” live with someone you love! 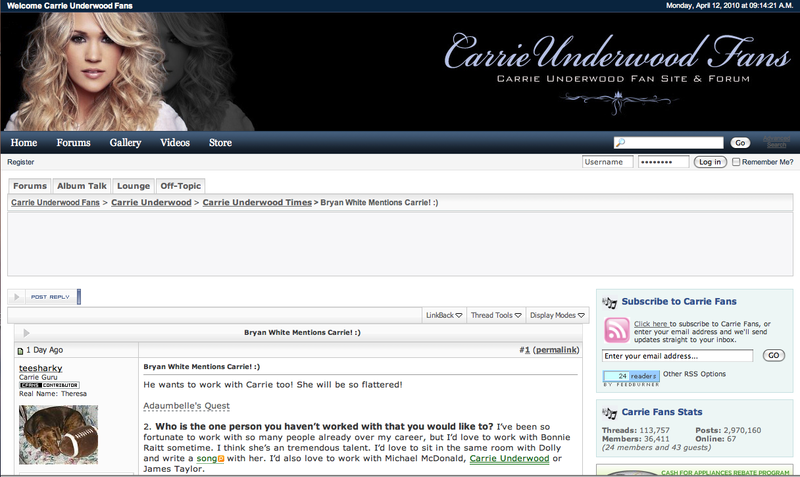 Thank You to the Carrie Underwood fans who posted part of my interview with Bryan White in the Carrie Underwood fan chat forums including Carrie Underwood FM forum, but I don’t have access to that so I can’t put a picture of it with this posting. 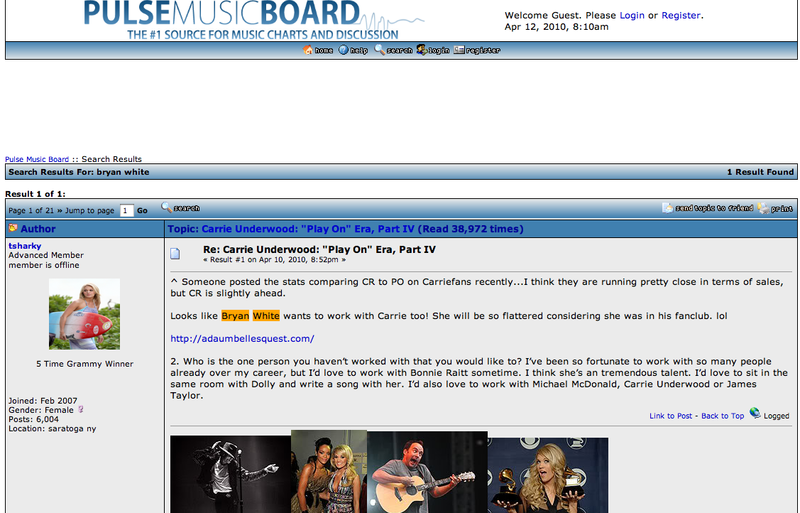 Hopefully her reps and his reps will see it and they will get to work together. 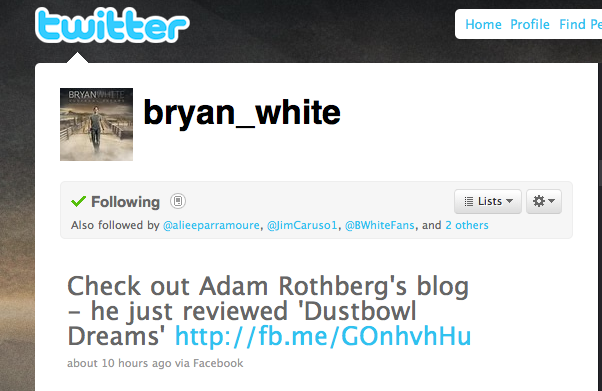 I’m very appreciative of you spreading the word…You are the best!